When viewing visuals, you can choose an element (like a bar or bubble, or a row or column header in the case of a pivot table), and then choose to exclude the element. The exception is that you can't exclude elements that are mapped to date fields. You can exclude multiple elements on a single chart. To see the excluded element again, either choose Undo on the application bar, or disable or delete the filter. 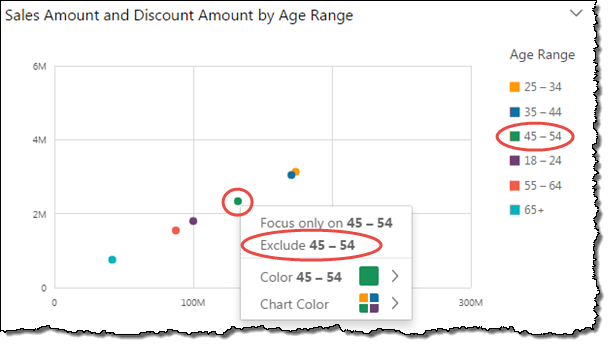 For more information about filters, see Filtering Visual Data in Amazon QuickSight.